Mother/daughter swimmers Sharon and Alison Behringer deserve special recognition for their super enthusiastic dedication and ear perfect attendance together. Women First Swimming has awarded them with a copy of Lisa’s book Triathlon for Women. Sharon was our Mermaid Spotlight last summer. Summer 2011 session, originally uploaded by Women First Swimming. The Spring session attendance award — a complimentary session — goes to Lisa Retrum with perfect 100% attendance from April to June! Lisa was also featured as our Spring Mermaid Spotlight here. As well, mother/daughter swimmers Sharon and Alison Behringer deserve special recognition for their super enthusiastic dedication and near perfect attendence together, so we’ll be awarding them with a copy of my book Triathlon for Women. Sharon was our Mermaid Spotlight from last summer. Keep up the great work Mermaids! 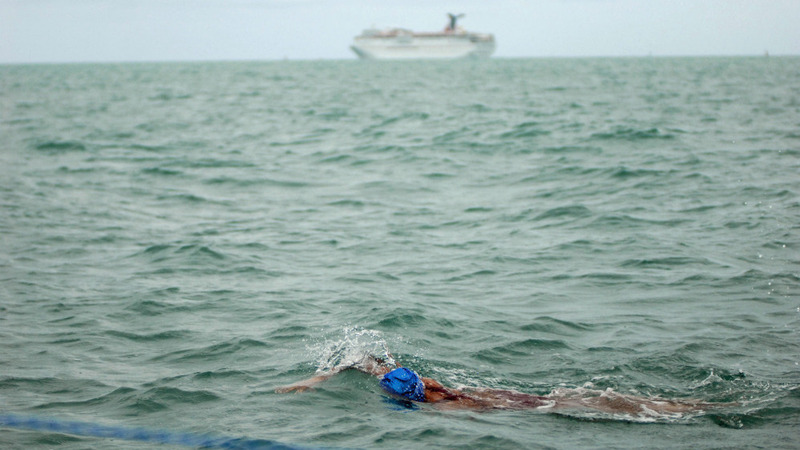 Diana Nyad, age 61, will be soon be attempting a 103-mile swim from Cuba to Key West. Check out the story on her amazing swim at NPR.org. Congrats to our latest Mermaid to be in the Spotlight! Lisa Retrum began with Women First Swimming for regular swim sessions this winter after a running injury forced her to consider swimming. Since then she has gone on to show great improvements as a regular attender and even completed her first ever triathlon! The coaches love Lisa’s energy and enthusiasm to keep improving that she shares with the other mermiads every Saturday morning. Read more about Lisa here. If you value the use of Balcones Neighborhood pool during Winter months, and wish to continue to swim there during the winter, please voice your opinion regarding its proposed closure on this city sponsored website. Hundreds of mermaids in the Women First Swimming group have spent countless hours over the last six years progressing their swim skills and enjoyed the comraderie lap after lap at Balcones Pool. We would like to continue the Women First Swimming program continue.